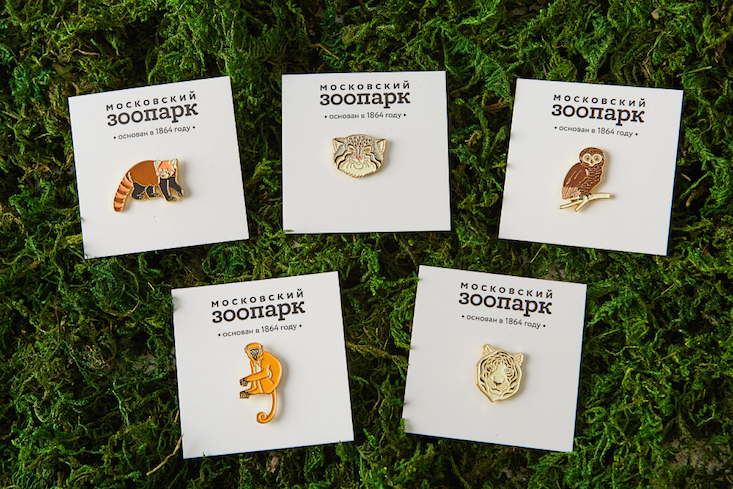 Heart of Moscow, a popular brand producing souvenirs from the Russian capital, has released a collection of metal pins celebrating the animals of Moscow Zoo. Launched for the summer season, the collection features 12 different animals, including a dolphin, red panda, crocodile, owl, Siberian tiger and giraffe. The pins can be purchased at Heart of Moscow stands in a number of locations around Moscow, as well as at Heart of Moscow's online store and that of its new Pinpinpin.it brand. Pins from their avant-garde collection, released earlier this year, can be purchased at the Calvert 22 Bookshop.